This book fills a gap in the literature on the French Revolution, and offers a synthesis which brings together the fruits of two generations' research in the field of French rural and agrarian history. 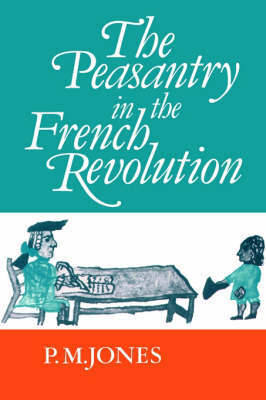 The contention of Georges Lefebvre (the greatest authority on eighteenth-century rural history) that the peasantry occupied the centre-stage during the early years of the Revolution is vindicated with the support of fresh evidence culled from local and national archives, unpublished theses and little-known printed sources. Lefebvre's subsidiary argument, that peasant participation in the Revolution ran counter to its main capitalist thrust, receives a more qualified endorsement. The hook also offers a comprehensive survey of the fortunes of country dwellers from the end of the ancien regime until the advent of Napoleon. Chapters are arranged both chronologically and thematically to provide a complete history of the Revolution as experienced at 'grass-roots'.